Redcab is probably the most innovative and user friendly digital wallet. The website provides a solution for transportation using the blockchain technology. Blockchain technology is innovating the information technology industry. One of the uses of the technology is the betterment of the transportation. Redcab is working globally to improve the local as well as international transportation by improvising and introducing the blockchain technology. 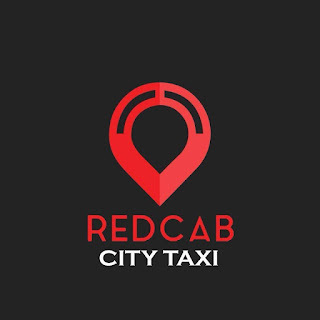 Established in 2016, Redcab is designed and developed according to the latest trends. The innovative and user friendly design and holistic development approach makes the site one of the best site. Developed using the top notch technology and latest innovations, redcab is the one stop solution for the blockchain enthusiasts. Redcab is providing a decentralized blockchain based transportation system that is supposed to end the problems and issues in the Uber transportation system. The beta version of the iOS and Android applications were launched in 2017, however the system is still in the testing phase. Once implemented, it is supposed to end the transportation problems by providing a unique and one of its kind decentralized transport network. Although it is too early to say if the system will also improve international transportation or not, however, it will surely be a huge success for local transport companies if they can get a system based on totally P2P decentralized network. Redcab has implemented its system in over 7 different locations including Mena, Pacific Asia and the Latin America. If the experimentation phase gets successful and redcab implements the system in use at its potential, the service will be expanded to other parts of the world as well. Redcab site offers a lot of attractive and interesting features for the users. Instead of traditional main menu and header style design, redcab has innovated their design according to the latest trends in the industry. Providing blockchain based solutions and tokens that can be used for transportation, redcab has ensured to develop a site that portrays their business model smartly and innovatively. The website is currently offering ICO (Initial Coin Offering) tokens for the customers. Every user of the site can get these tokens and utilize the tokens for transportation purposes. Besides transportation, redcab also provides digital wallet to store and secure these tokens. Redcab transportation system is supposed to be the cheapest transportation system with high fares and return for drivers. Providing a decentralized P2P based network, redcab will introduce a direct connection between the drivers and passengers eliminating any third party involved. Redcab is using REDC ICO tokens for payments. Their blockchain is the ethereum blockchain. 1 ETH equals to 2333 REDC in ICO. The hard cap of system is 24,529 ETH. 1% bounty per token will be provided to the coin holders. REDC coins can be used as the payment method by the riders. The exchange can also be provided in the same currency by the drivers. This is probably the best payment solution for any transportation system by date. Eliminating the payment methods and other issues, redcab’s system is unique, fast, cheap, adoptable, and extremely innovative.